On June 10, the Government of Canada announced the new Marijuana for Medical Purposes Regulations ( MMPR ). These regulations are intended to provide reasonable access for those Canadians who need marijuana for medical purposes while protecting public safety. When the Marijuana Medical Access Program was introduced in 2001 in response to the court decision, the number of people authorized to use marijuana for medical purposes stood at less than 500. Over the years that number has grown to more than 30,000. 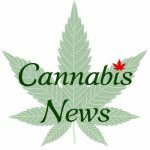 As a result, costs to taxpayers have continued to climb as Health Canada heavily subsidizes the production and distribution of marijuana for medical purposes. 37 queries in 1.139 seconds.